NEW YORK, March 16 /PRNewswire/ -- Today, a host of superstars have teamed up with the United Nations and the world's most personalised music streaming service, MixRadio, to launch the #HappySoundsLike campaign to mark International Day of Happiness. Music has the power to spread happiness and inspire solidarity and hope for a better tomorrow. Recognizing this, United Nations Messengers of Peace and Goodwill Ambassadors, along with international artists such as Ed Sheeran, David Guetta, John Legend and James Blunt, amongst others, have contributed to create the world's happiest playlist, launching on March 20th, International Day of Happiness. United Nations Secretary-General Ban Ki-moon said, "The United Nations is happy to be partnering with MixRadio to raise awareness of the International Day of Happiness. On this day we are using the universal language of music to show solidarity with the millions of people around the world suffering from poverty, human rights abuses, humanitarian crises and the effects of environmental degradation and climate change." Ban designated Wonder a UN Messenger of Peace in 2010 to advocate on behalf of persons with disabilities worldwide, and nominated his "Signed Sealed Delivered" to the playlist." 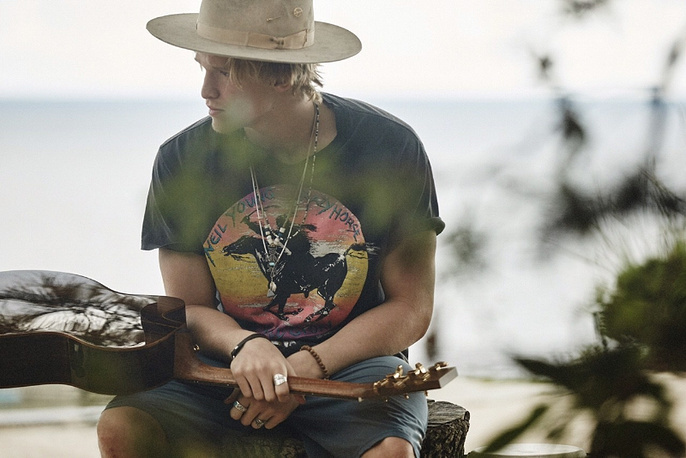 Cody Simpson, comments, "I am really pleased to be part of such an amazing campaign to raise awareness of International Day of Happiness. "I hope everyone gets behind the day and shares the track that makes them happiest! I will be choosing five tracks the general public suggest to be part of the official playlist, #HappySoundsLike, launching on Friday 20th March for you to all listen to." "We hope the general public follow in the steps of the host of global stars and share the track that makes them happiest. On March 20, #HappySoundsLike will launch and we hope it brings a smile to faces around the world." Established by the United Nations General Assembly in 2012, International Day of Happiness acknowledges that "the pursuit of happiness is a fundamental human goal". In its 70thanniversary year, the UN will be undertaking several campaigns to help achieve this goal. Watch the video at www.happysoundslike.com.